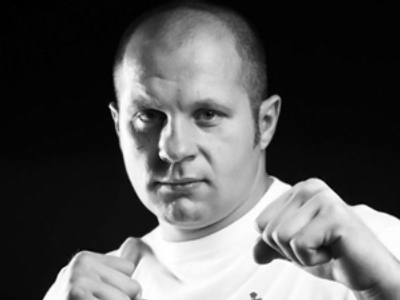 Russia’s kickboxing squad destroyed Ukraine’s team in a match-up held at Moscow’s Arbat fight club. One of the most popular martial arts in Russia – kickboxing, the Russian national team against Ukraine's, no champions' belts or awards at stake, just five fighters on each side aiming to settle scores – that’s was the match in Moscow was all about. Friends will be friends, but they have to leave it all outside the ring for five rounds of two minutes each. The action started with the fly weight bout, where Russia's Sergey Lipinets took on WAKO world champion Sergey Adamchuk. The Ukrainian was quick to establish his dominance with his trademark tricks, and knocked out the opponent with a low-kick in the second round. But that was all the Ukrainian side could muster. The next two fighters, in the Under 67 kilos division, entertained the crowd with a natural rumble. With Ukraine's Ruslan Schelev looking apparently better in the first two rounds, Aleksey Zaytsev's will and firmness were rewarded in the following three. As a result, the Russian nicknamed 'The Raptor' grabbed the win by a unanimous decision. Staying with the same weight category, three-time champion of Moscow Oleg Mamadaliev was next up, to face Dmitry Lugansky. Mamadaliev got off to a strong beginning, but the slim Ukrainian was a hard-to-beat guy. Despite unquestioned dominance, it still took the Russian all five rounds to give his team a 2:1 lead in the match. Moving up the scales, Russia's Nikolay Bubnov received a grilling from four-time world champion Rostislav Khvorost but earned a victory. In a very close bout, the opponents took turns showing off their skills. But in the end, the 21-year-old Russian impressed the judges an inch more. So that's how it finally came to the long-expected light heavyweight fight – under 81 kilos – between Moscow region champion Aleksey Dergay and European champion Oleg Shevchenko. As a rule, one good punch costs much in this division – and this bout was no different. The Russian eliminated his opponent in the second round through an incredible knock-out leaving the final score at 4:1 for Team Russia. “Most of the guys I face in the ring have bigger names in the sport, and more experience, and I'm used to it. So I'm always very focused during a fight, try to find weak points in the opponent and it finally works – I knock them down and out,” Dergay said after the bout.